In this 38 minute video presentation recorded live at b.TWEEN '09, David Bausola, Tom Himpe (Ag8) and Luke Scott (Scott Free) talk about their ambitious Blade Runner web-series franchise, Purefold and how it fits into the sphere of social media induced content creation (ie. "real-time online conversations from the audience, which are harvested through FriendFeed"). "With a central theme 'What does it mean to be human? ', the franchise explores the subject of empathy - a shared theme with Ridley Scottâ€™s most compelling Science Fiction movie, Blade Runner. 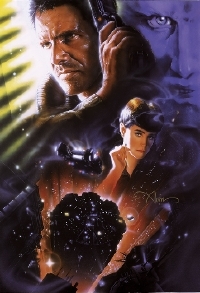 The franchise contains infinite interlinked story lines, turned into short-format episodes by Ridley Scott Associate Filmsâ€™ global talent pool of directors, and informed by real-time online conversations from the audience, which are harvested through FriendFeed, the worldâ€™s leading 'life streaming' technology. Taking place in the near future, Purefold enables participating brands to take an alternative route to brand integration than traditional product placement and embrace invention within a narrative framework." While I love social media and continue to marvel at all the ways it's changing how we all interact and share information, I've yet to be convinced that any thematically hermetic content can come from tapping directly into 'the swarm.' no way a film like Blade Runner could have in a million years ever come out of a crowd sourcing exercise. No way. Snakes on a Plane? Yes. Blade Runner? No. So for now,we'll leave it at 'we'll see.' If you are so incline, you can watch the entire presentation after the break.